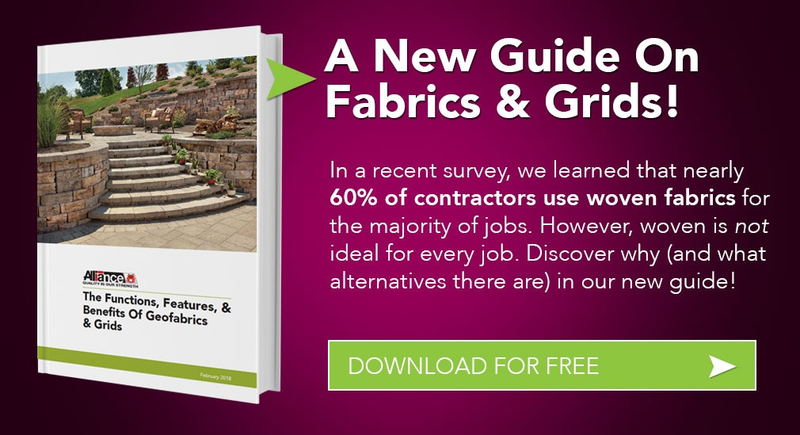 In a recent survey, we learned that nearly 60% of contractors use woven fabrics for the majority of their hardscape jobs. However, woven is not the ideal choice for every application! 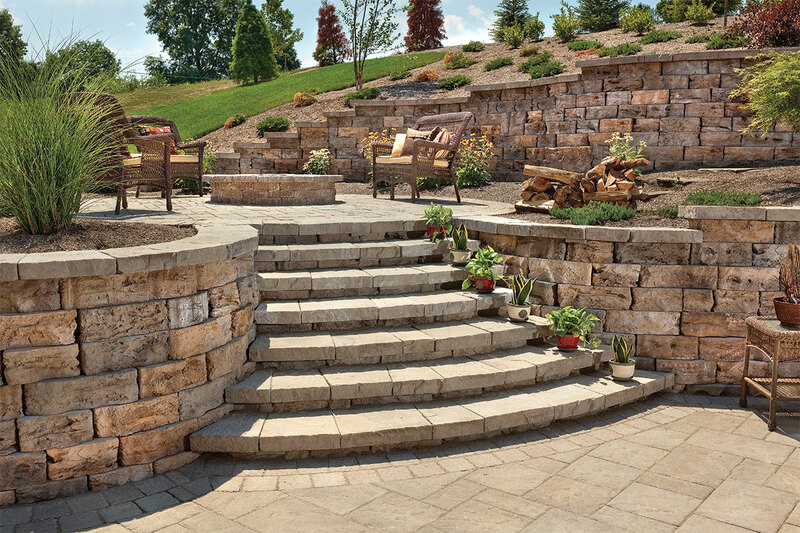 We've developed a brand new guide that explains the different fabrics and grids that are commonly available on the market and how they can impact various types of hardscaping applications. View a preview of the guide here and then click to download the full version for free! Geotextiles and grids, or geosynthetics, are commonly used to support civil engineering projects such as roads, retaining walls, reservoirs, etc. They’re also used in smaller-scale hardscaping projects to improve strength, stability, and overall design. We like to think of fabrics and grids as cheap insurance. 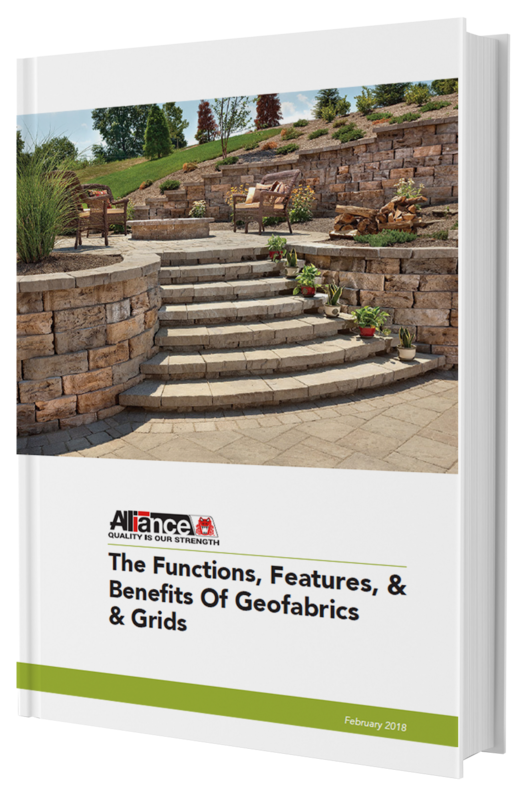 In this guide, we’re going to give a simplified lesson in soil mechanics, explain how using fabrics and grids can enhance various hardscaping projects, and provide a detailed breakdown of the most common types of products available on the market. The term “geotextile” was coined by Dr. JP Giroud during a presentation at an engineering conference in Paris back in 1977. However, these materials were already being used in the field before this time. While the benefits geosynthetics have provided to the civil engineering world are apparent throughout history, it’s a lesser known fact that fabrics and grids can impart longevity and durability to smaller-scale hardscape projects as well. In the next section, we’ll give a simplified lesson in soil mechanics to help paint the picture. In the context of a hardscape project, it’s important to simply keep these stresses in mind when choosing a geotextile or grid. Next, we’ll take a look at how these products help to alleviate the three different types of stresses. Intrigued? Want to keep reading? Download the full version of the guide here!